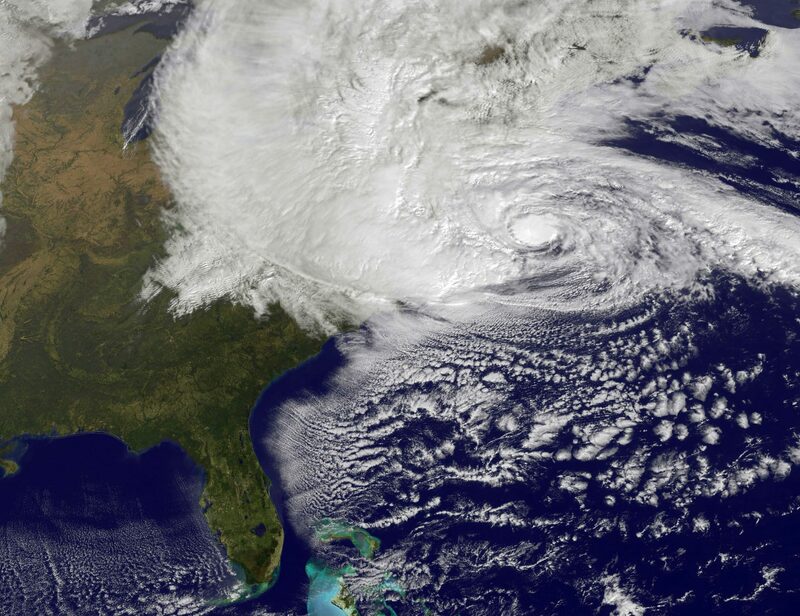 Scientists have been studying the link between climate change and extreme weather events such as Hurricane Sandy, shown here in a NASA image, which left more than 1.3 million Pennsylvanians in the dark in 2012. About a dozen children dressed in Lorax costumes went to Gov. Tom Wolf’s office Monday. They wanted to give him petitions urging action on climate change and Pennsylvania’s environmental rights amendment. But when they got there, three Wolf staffers met with them and told them the governor wasn’t available to talk to them. Schedule a meeting, they said. The kids were disappointed. Maya van Rossum of the Delaware Riverkeeper Network told Wolf aide Sam Robinson that they’d seen the governor walk into his office a few minutes earlier. Finally, the staffers relented. The kids got their meeting, and they gave Wolf the petitions. Reporters weren’t allowed in, but nine-year-old Seamus Johnson said the governor shook all the kids’ hands. During his first term, Governor Wolf was criticized by some groups for failing to take a strong stance on environmental issues. However, he has recently been talking about it more, calling climate change “one of the big issues we have to deal with.” Earlier this month signed an executive order setting a new goal for the state to combat climate change: reducing greenhouse gas emissions 26 percent by 2025 and 80 percent by 2050.